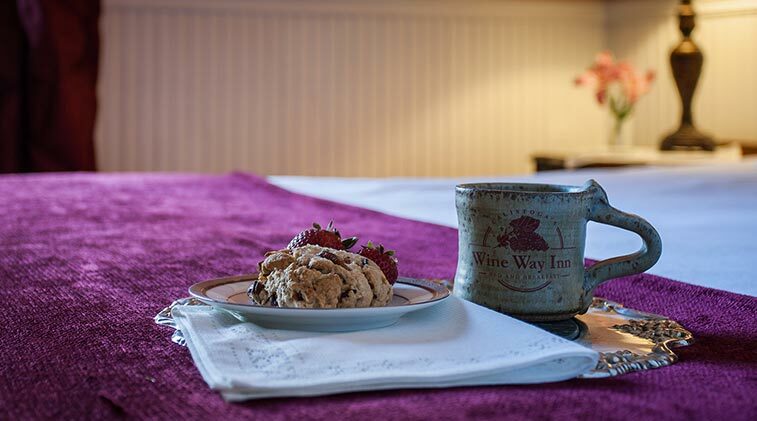 Join us in our romantic Calistoga bed and breakfast for a getaway to remember. 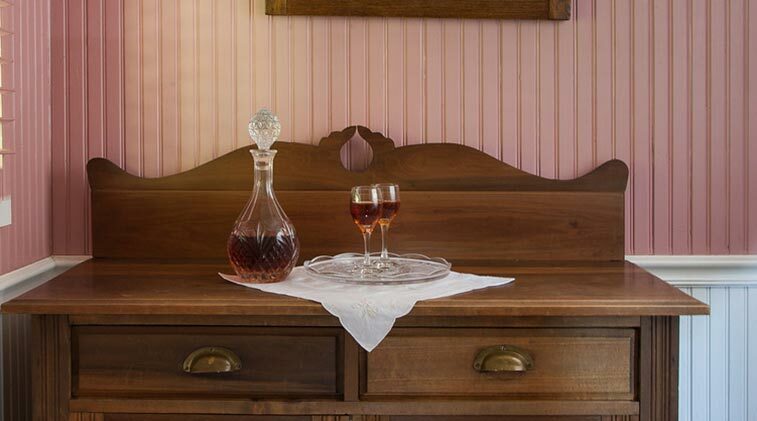 Upstairs, situated on the side of Wine Way Inn, this romantic room is decorated in shades of warm pink and burgundy. Maximum occupancy two people. 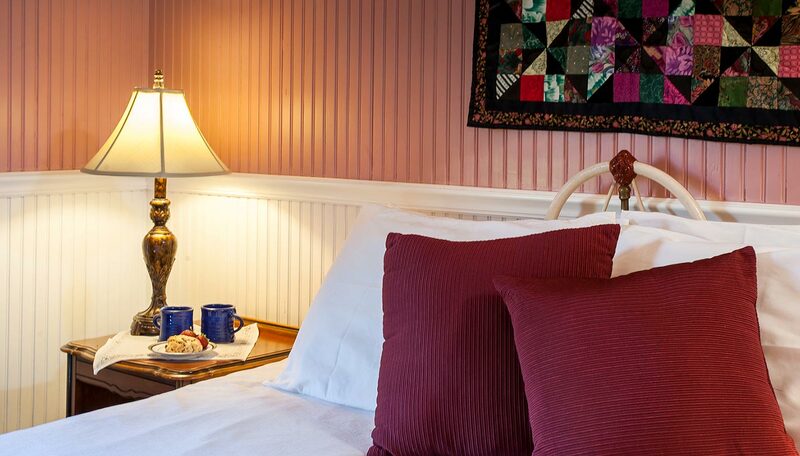 The queen bed is accented by framed decorative appliqué mini quilts made by the innkeeper. 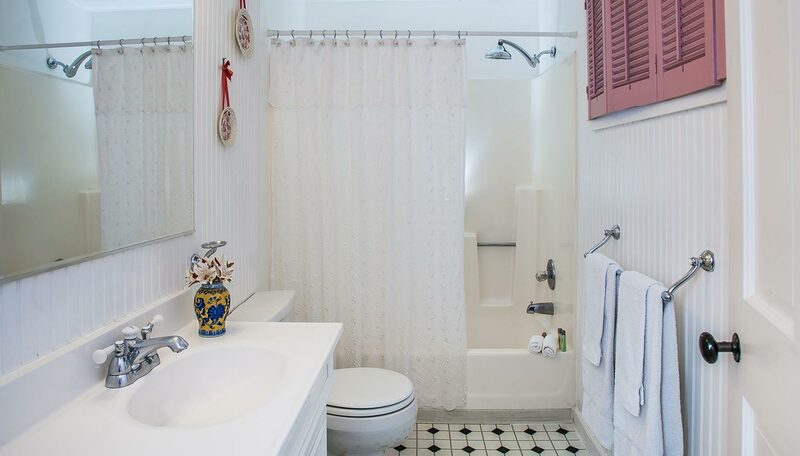 The private bathroom has a tub and shower with American Standard 20's collection fittings, combining contemporary convenience and period elegance. 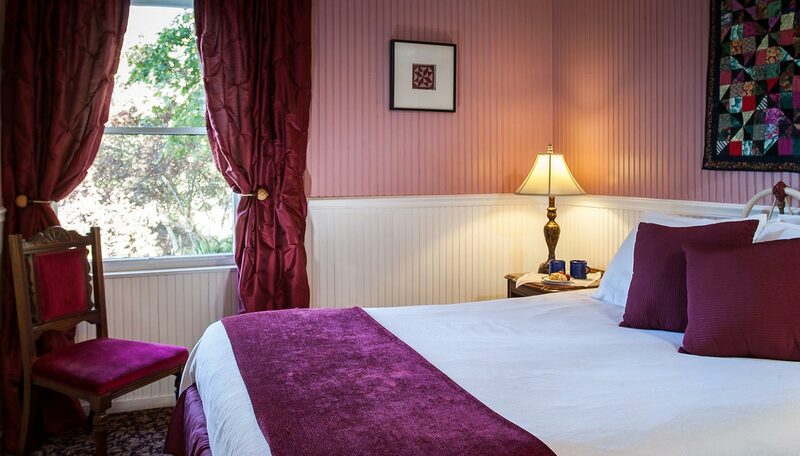 "Loved the B&B! 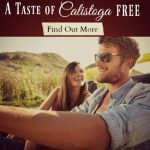 Great Experience!"